Brushing our teeth is one of those mindless things we do every day. But with the worries about what is in many commercial body care products, toothpaste is no exception. The argument over whether fluoride is harmful or not continues with the self-doubt over avoiding fluoride every time we go to the dentist and hear their medical point of view. Though glycerin is wonderful in skin care products, when it comes to its being in toothpaste there is question there as well. Added to give toothpaste the sheen and consistency we expect, it also creates a film on the teeth which is believed to prevent the teeth from becoming harder and stronger. Teeth normally mineralize and harden through contact with the nutrients in food and when coated with glycerine the process is hindered. Remineralization doesn't just happen in the mouth, it is a whole body process that is achieved from adequate levels of certain nutrients such as fat soluble vitamins and minerals. Using a toothpaste with a higher concentration of minerals isn't the sole process but it does help strengthen teeth. 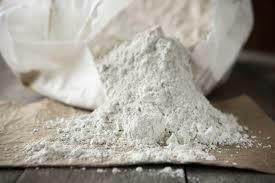 Diatomaceous earth contains trace minerals and silica which make it a great cleaning aid to help remove tarter and plaque. Baking soda is an old remedy for cleaning the teeth but being it is mildly abrasive to the enamel, it shouldn't be used all by itself or every day. Combined with other ingredients it is fine and great for polish and to help remove stains. Bentonite clay has trace minerals and its gentle cleansing action not only helps fight gum disease with its detoxifying properties, but it helps remove stains. A swelling clay, think of it as a sponge soaking up toxins. Calcium carbonate is a natural source of what is called bio-available calcium. The typical toothpaste has a foaming texture to which we are so familiar. 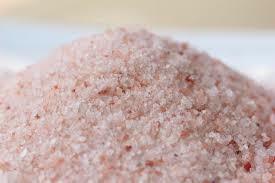 That is from the addition of sodium lauryl sulfate which though is so common in many personal care products, it has a reputation for being one of those ingredients to try to avoid. It is believed to increase gum inflammation and mouth sores. Naturally made toothpastes do have a consistency that takes getting used to but without the worry of questionable, potentially problem causing ingredients. Again something we are so familiar we don't notice is the sweetness of commercial toothpastes. Artificial sweeteners are added to improve the taste, but there are much healthier alternatives. Stevia is a natural source of sweet that comes from a plant. Many recipes use xylitol and though it is great for improving the taste it is very toxic to pets so I do not include it in this recipe. As a pet owner, always accompanied by somebody, even in the bathroom, I just don't want to take the chance of anyone ingesting it. Spices cloves and cinnamon are well known in the dental world for their anti-microbial and anti-viral properties, plus they just help make it taste better. Peppermint and myrrh essential oils soothe the gums and most everyone loves the refreshing taste of mint. Herbal peppermint is safe for all ages but when it comes to peppermint essential oil, it should be avoided in children under 6 years of age. A much safer alternative is either spearmint or sweet orange and vanilla. These options are available to choose at checkout. Finally we have the infamous coconut oil. Naturally antibacterial, unrefined coconut oil can be very beneficial as part of cleaning and care of not only the teeth but the mouth in general. 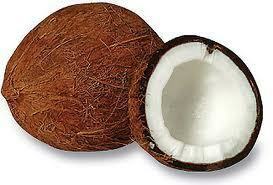 By drawing out bacteria, coconut oil helps maintain a healthy mouth and remove plaque from teeth. The only drawback using coconut oil to make a paste of the dry ingredients rather than leave as a powder, is the very nature of coconut oil. Because it melts at temperatures above 76 degrees farenheit and hardens when in cooler temperatures, the consistency may often need a little tampering. In warm weather, if you don't like the paste runny you can firm it up in the fridge a few minutes before using. In cooler weather, either use a spoon to dig a bit out of the jar or set it in a pan of warm water to soften it up a bit. Natural blends such as this tooth powder are made up of gentle ingredients safe for tooth enamel. We can only trust in the reputations of the ingredients themselves. There are no FDA studies on handmade products such as these to test just how long it'll take to see whitening improvement. Teeth, people and lifestyles are different therefore I have no way of adding a time frame to expect to have to wait for results. As with any natural or herbal product, the key is consistency and patience. People are used to quick fixes and that thinking is just not the case when trying to make the changes necessary for a healthier lifestyle. The idea of swishing around an oil in the mouth does take getting used to in comparison to the typical tube of toothpaste we all grew up with, and the color brown may not be attractive, but once you get used to it you'll most likely love the way your mouth feels which will be smooth and polished. Do not use with children until they know not to swallow the toothpaste. Dip a bit of paste out of the jar, brush as you normally do and then rinse. An option is to leave the paste in your mouth a few minutes before rinsing for additional benefit. Don't wet your brush and then dip it into the paste as this may increase the risk of bacterial contamination. Use the little wooden stick (or your own little tool) to dip out the paste and then let it drop onto the bristles of your toothbrush or just put in your mouth and let it soften with the warmth of your mouth, wet your brush and brush as you normally would. Options at checkout are the choice of a 1/2 oz sample size, 1 oz., 2 oz, or 4 oz. plastic jar.